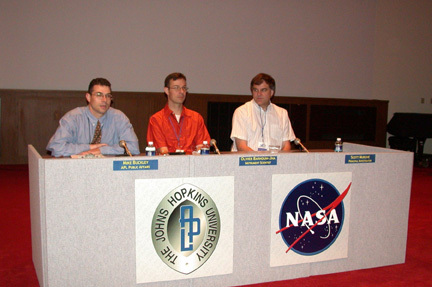 From left, moderator M. Buckley, of the Applied Physics Lab's Public Affairs Office, fields questions for O. Barnouin-Jha and Principal Investigator S. Murchie during the student press conference segment of Space Academy: Mission Mars. 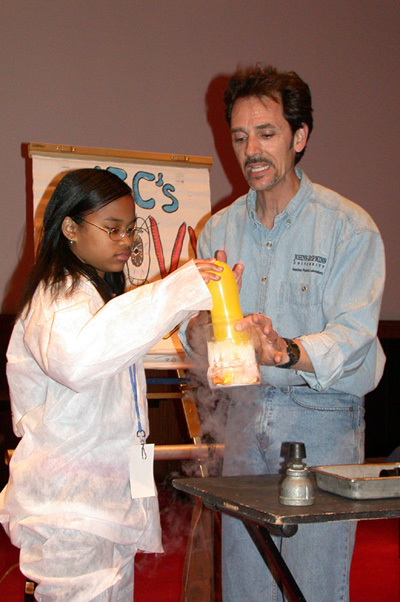 With help from the Applied Physics Lab's M. Clayton, one Space Academy: Mission Mars student is about to learn what happens when a balloon meets liquid nitrogen. 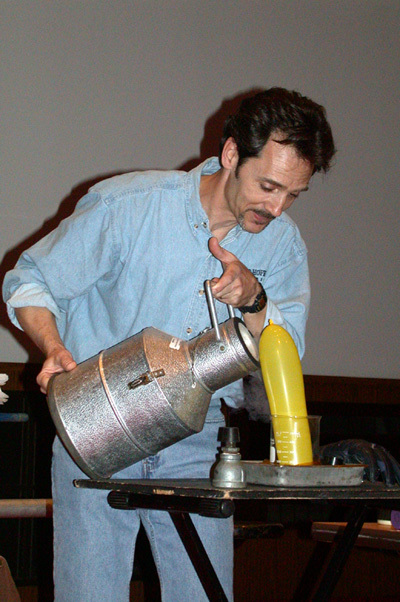 The Applied Physics Lab's M. Clayton shows what happens when a balloon meets liquid nitrogen during his Groovy Science show, part of Space Academy: Mission Mars in May 2002. 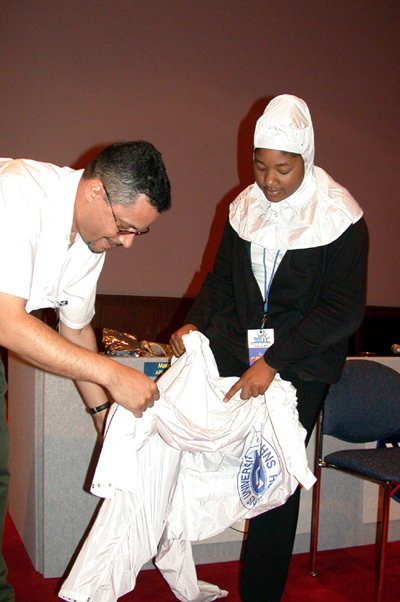 With help from the Applied Physics Laboratory's V. Bailey, a Meade Middle School student fits into an authentic clean-room suit during Space Academy: Mission Mars. 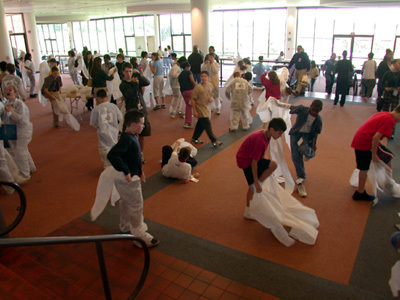 Part of the Space Academy experience, students wriggle into their specially made "clean" suits before touring the Exploration Stations in the Applied Physics Lab's spacecraft design, test and communications facilities. 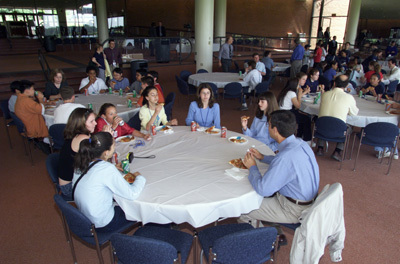 Part of the Space Academy experience, students have the opportunity to eat lunch with the Applied Physics Laboratory scientists and engineers who design and run some of NASA's coolest projects.